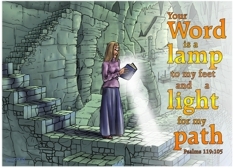 03) (This page) Psalm 119v105 – Light for my path (Woman light text version). 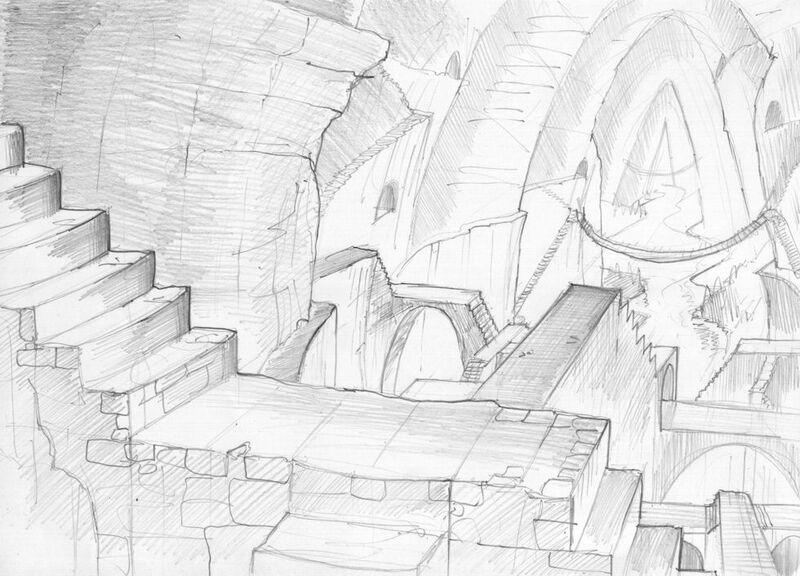 04) (Next page) Psalm 119v105 – Light for my path (Man dark version). 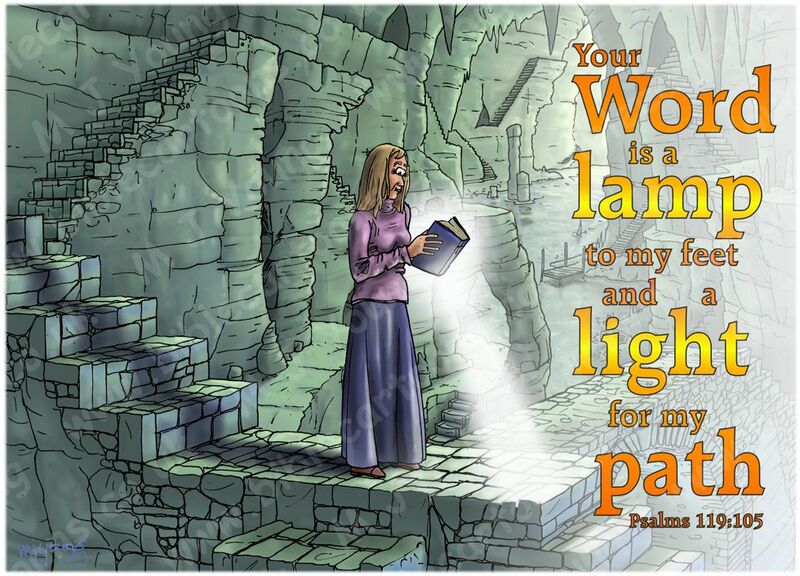 05) (Next page) Psalm 119v105 – Light for my path (Man light version). 06) (Next page) Psalm 119v105 – Light for my path (Man light text version).